With Beauty Warp EP, Welsh born El Choop finally gives his vinyl EP debut on Etui Records. 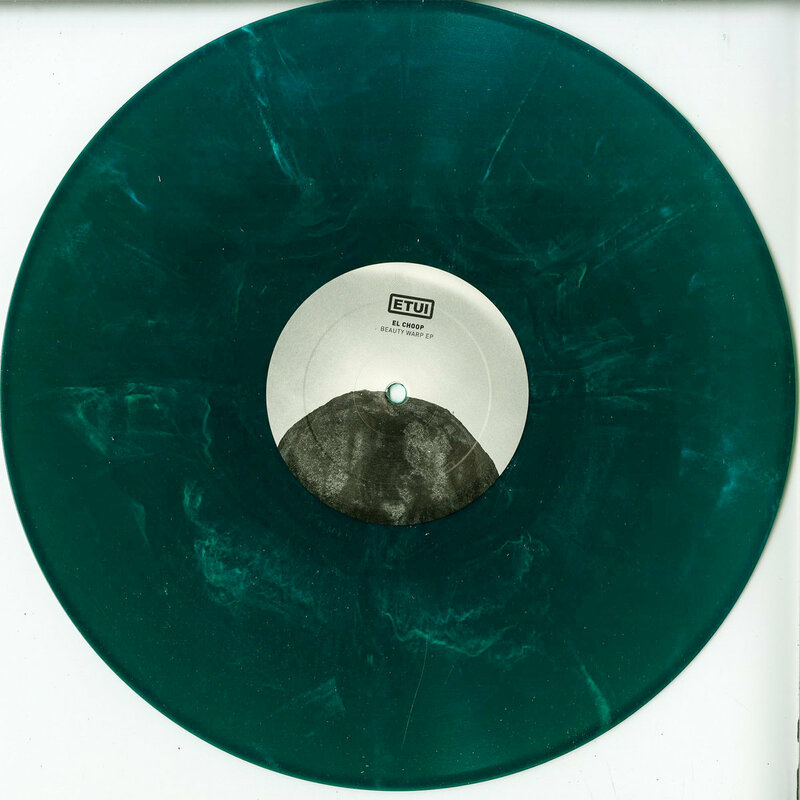 The light green/white marbled vinyl opens with a set of raw icy chords, sculpted around a dark kick and glittering percussion. Designed for the dancefloor, Beauty Warp is as light as it is heavy. The inner cut exhibits El Choop’s deeper side with Adrift in the Opal Fields. With a more conventional dub techno palette, it paints a dusty, gritty, and echo filled sonic landscape. Reverse to find Women (Night), a 12 minute moody workout of melancholy chords and weighty lows complete with a set of polyrhythmic stabs that you just can’t seem to count. All tracks written and produced by Harvey Bones in 2018.